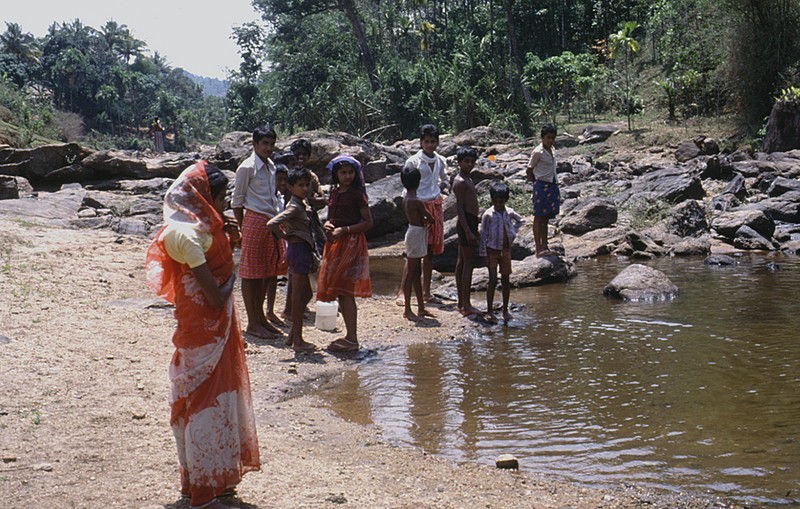 Erik Åhlander kindly provided images of collection localities in India. This is the Pamba River, Kerala state. 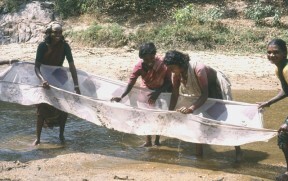 Local girls help to collect L. thermalis from the Pamba River. 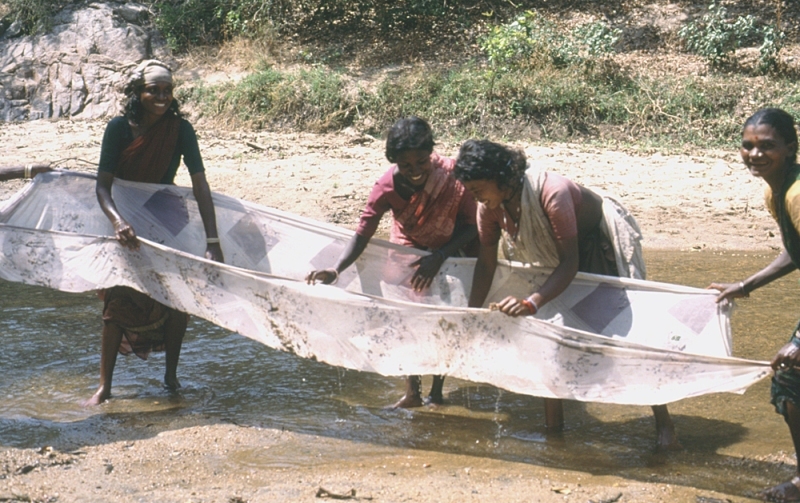 The makeshift 'net' is a sari belonging to one of the girls, unfurled and used while she continues to wear it! 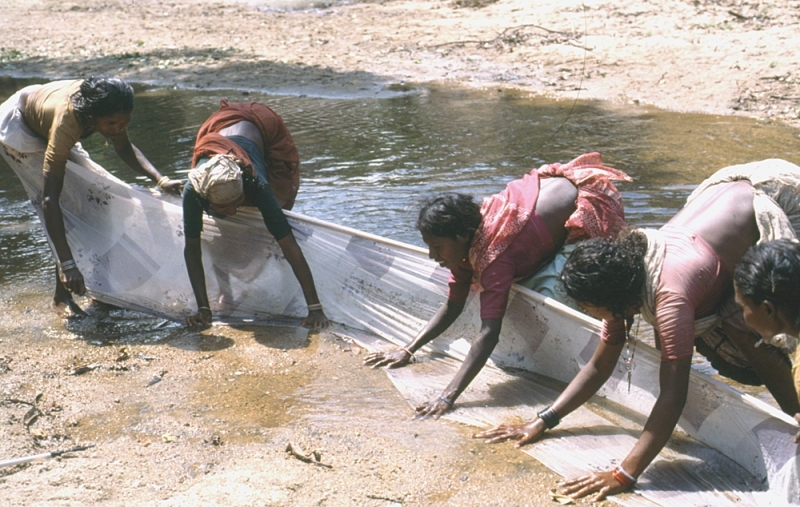 The sari makes a fine beach seine. Entomologist Bert Gustafsson (left) and Erik Åhlander seining the Deviyar River, Kerala. 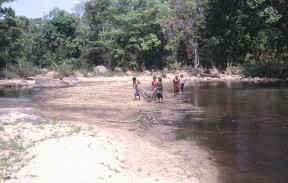 Attracting interested children at the Deviyar River. Lepidocephalichthys: from the Greek lepis, meaning ‘scale, kephalos, meanig ‘head’, and ichthys, meaning ‘fish’. thermalis: from the Latin thermalis, meaning ‘heat’, in reference to the type locality (see ‘Distribution’). 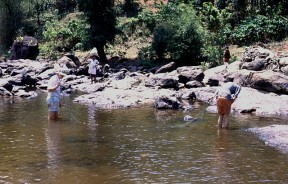 Described from ‘Hot waters of Cania, Sri Lanka’ and also occurs in Peninsular India. In the latter it’s known from the Godavari, Krishna, Palar, Kaveri and Periyar river drainages. 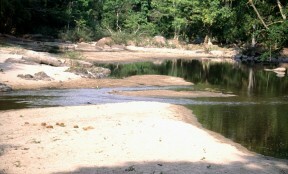 Unlike most members of the genus L. thermalis shows a preference for headwaters and streams with clear, flowing water and substrates of rocks, pebbles, submerged tree roots, etc., although it’s sometimes collected from muddy or sandy zones in areas where leaf litter collects and has also been recorded in hot springs (type locality). Many such habitats are seasonal in nature, e.g., swelling in volume, flowing more rapidly and increasing in turbidity during the annual monsoons which affect the majority of its range. Conversely during dry periods some habitats may become stagnant with blooms of macrophytic algae and resultant hypoxia. Under such conditions members of this genus are able to use the intestine as a supplementary breathing organ and have been observed darting to the surface to gulp atmospheric air. 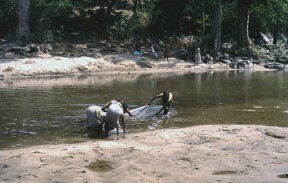 Some species have even been recorded to survive periods in moist sand or mud in the absence of water. In the habitat at the Pamba River above L. thermalis was collected alongside Nemacheilus pulchellus, Barilius bendelisis, B. gatensis, Devario malabaricus, Haludaria fasciata, Salmophasia acinaces, Cirrhinus sp., Garra mullya, Mystus malabaricus, Channa gachua, and non-native Tilapia sp. Water temperature was 86°F/32°C, pH 7.5 and the water running swiftly over sand. At the Deviyar locality pictured it was living sympatrically with Mesonoemacheilus triangularis, Dawkinsia filamentosa, Rasbora daniconius, Garra mullya, Aplocheilus lineatus, Mystus malabaricus, and Tilapia sp. Here the water temperature was 92.3°F/33.5°C, pH 7.3 and the clear water flowing slowly over rocks and sand. Both sets of images were taken during the dry month of April when water levels are almost at their lowest and temperatures towards their highest before the monsoons arrive in late May/early June. Base dimensions of 45 ∗ 30 cm or more are recommended. This species will do well in most well-maintained aquaria if plenty of hiding places are provided and should not harm softer-leaved plants. However we highly recommend keeping it in a set-up designed to resemble a flowing stream with a substrate of variably-sized rocks, gravel and some water-worn boulders. Driftwood roots and branches arranged to form some shaded spots can also be added. While the majority of aquatic plant species will fail to thrive in such surroundings hardy genera such as Microsorum, Bolbitis or Anubias can be grown attached to the décor and bright lighting will promote the growth of aufwuchs. Unlike many fishes that hail from running waters it’s relatively tolerant to accumulation of organic wastes due to its specialised gastro-respiratory tract (see ‘Notes’). Nevertheless it should not be added to a biologically immature aquaria, and if keeping alongside other species from such environments suitable equipment is necessary. Install a powerful external filter or two to raise levels of dissolved oxygen and water movement , and perform weekly water changes of 30-50% tank volume. Probably a micropredator feeding on insect larvae and suchlike in nature. In the aquarium it will accept sinking dried foods but should also be offered regular meals of small live and frozen fare such as Daphnia, Artemia, bloodworm, etc. 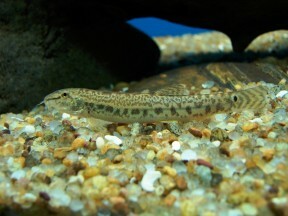 Lepidocephalichthys spp. are peaceful both with one another and other fishes and there exist no reports of them harming tankmates though they may prey on eggs or fry. They fare best in the presence of conspecifics and should ideally be kept in a group of 4 or more specimens. 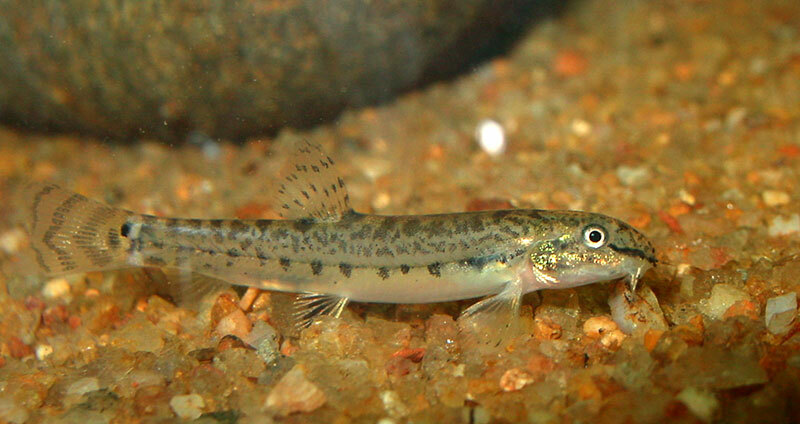 L. thermalis makes an excellent addition to communities of suitably-sized stream-dwelling fishes. Good tankmates include small, peaceful cyprinids plus rheophilic loaches such as Gastromyzon, Pseudogastromyzon, Beaufortia or Sewellia and less territorial nemacheilids. Stream-dwelling gobies from genera including Sicyopterus, Stiphodon, Rhinogobius and Lentipes can also make interesting additions to this kind of community. Territorial or otherwise aggressive bottom-dwellers such as some nemacheilid loaches and cichlids are less suitable companions. In mature males the pectoral fins are enlarged with fused, thickened innermost (7th and 8th) rays forming a structure known as the lamina circularis. This generally varies in form depending on species and is present in some other cobitid genera though formed by different rays. Adult females are typically heavier-bodied and a little larger then males. Presumably a seasonal spawner in nature but hasn’t been bred in captivity as far as we know although purported courtship behaviour has been observed. 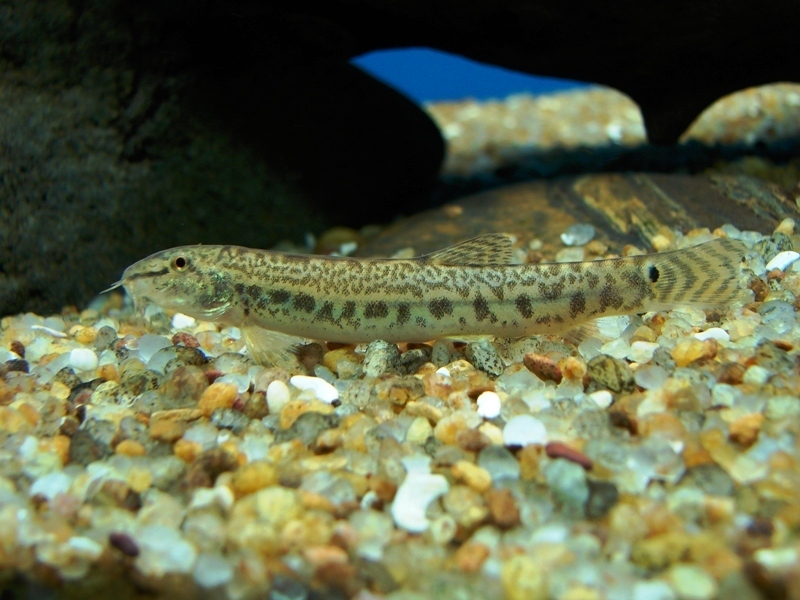 This species is available sporadically and makes an excellent choice for those new to keeping loaches. It’s distinguishable from congeners by a combination of characters including: truncate/rounded caudal-fin; no scales on top of head; dark, squarish spots on the flanks not forming a solid stripe; 3-5 broad dark bars on the caudal-fin; dorsal-fin origin anterior to pelvic-fin origin; barbels usually relatively small; lamina circularis in males composed of fused 7th and 8th pectoral-fin rays forming a small, dorsally-projecting flange. It was for a number of years included in the genus Lepidocephalus but Havird and Page (2010) placed it definitively in Lepidocephalichthys by virtue of fin ray counts, placement of the dorsal-fin origin and position of the lamina circularis. Havird and Page (2010) also described two new species, L. alkaia and L. kranos, and synonymised L. menoni with L. annandalei but concluded that further work is necessary regarding the Indian species, particularly L. manipurensis, L. arunachalensis and L. coromandelensis. The family Cobitidae, often referred to as ‘true’ loaches, is widely-distributed across most of Eurasia with the Indian subcontinent, Southeast Asia and China representing particular centres of species diversity. Phylogenetic analyses by Tang et al. (2006), Šlechtová et al. (2007) and Šlechtová et al. (2008) revealed that the group constitutes a separate genetic lineage to the family Botiidae (the two were previously grouped together under Cobitidae as subfamilies Cobitinae and Botiinae). In the most recent study Lepidocephalichthys was not found to be as closely-related to Pangio, Lepidocephalus or Kottelatlimia as previously hypothesised though unfortunately the authors stop short of proposing an alternative theory. All cobitids possess sharp, motile, sub-ocular spines which are normally concealed within a pouch of skin but erected when an individual is stressed, e.g., if removed from the water. 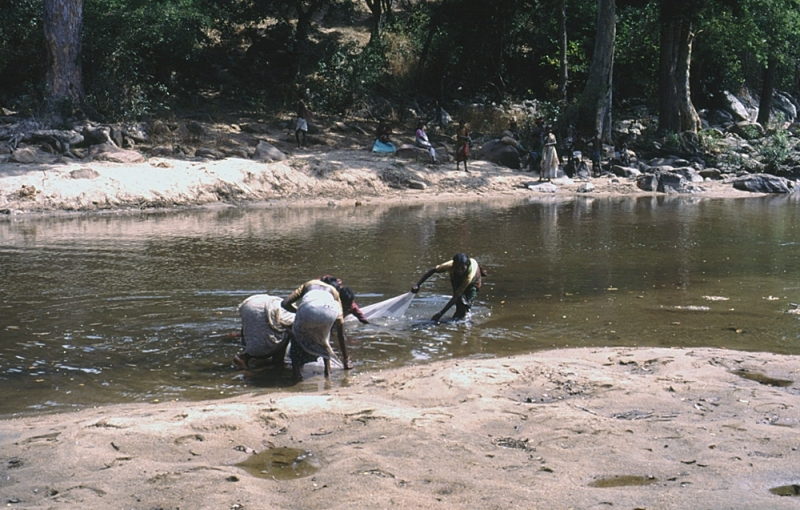 Care is therefore necessary as these can become entangled in aquarium nets and with larger species even break human skin. A revision of Lepidocephalichthys (Teleostei: Cobitidae) with descriptions of two new species from Thailand, Laos, Vietnam, and Myanmar. Operculum of peppered loach, Lepidocephalichthys guntea (Hamilton, 1822) (Cobitidae, Cypriniformes): a scanning electron microscopic and histochemical investigation. Microanatomy and cytochemistry of the gastro-respiratory tract of an air-breathing cobitidid fish, Lepidocephalichthys guntea. Molecular phylogeny of the freshwater fish family Cobitidae (Cypriniformes: Teleostei): delimitation of genera, mitochondrial introgression and evolution of sexual dimorphism.